We Don’t Just Hear Sound, We Feel It ! When we think of sound, we think of hearing something: a person talking, the wind blowing, an orchestra playing a symphony. To most people, sound is just something you hear. But there are actually four other ways that the body receives sound. They all enter the body through a different mechanism and act to reinforce the sounds that come in through the ears. We call these four additional pathways ‘tactile sounds’. At Inner Tranquillity & Peace we use these tactile sounds to vibrate the cells of the body to help you to regain balance and health at an internal level. The BodhiBed we use for our massage therapies are specially built with internal speakers that play musical frequency levels that you can feel vibrating throughout your body and are tuned to the body’s vibratory level, retuning it to it’s natural harmonic state. The stock-standard way for humans to perceive acoustic energy is through the ears. The ear is a complex mechanism. When sound is produced, it creates the displacement of air particles, which leads to vibrations. These vibrations enter the ear canal and push against the eardrum, which transmits energy to the cochlea through the inner ear bones. The cochlea is a fluid-filled sense organ in which small hairs – or cilia – convert mechanical vibration. 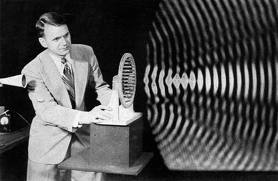 This vibration is then transmitted into sound in our brain to tell us what we are hearing. The movements of the ground also stimulate the nerve endings and cells in the deeper layers of skin immediately under the outer layer. This sense should be familiar to you; it is your sense of touch. Ordinarily, the sense of touch does not come into effect with acoustic events except in situations where excessively loud sounds are produced. It also comes into effect for musicians who hold their instruments close to their bodies when playing. The ground is constantly vibrating beneath us. This vibration stimulates the nerve endings in deep tissues and muscle mass creating a sensation known as a kinesthetic sensation. These sensations are felt when powerful objects excite the ground near us. The ground vibrating beneath us also subtly stimulates nerve endings in skeletal joints and deep tissues. This sense is called known as a haptic sensation. It comes from the Greek word haptein, which means, ‘to touch’. The cochlea, the sense organ that takes the mechanical movements of acoustic energy and translates them into nerve impulses, is firmly encased in the skull bone. This bony protection allows a secondary pathway for sound waves to reach it; directly through the bone mass itself. The phenomenon of bone conduction is well known. When the eardrum or inner ear bones are damaged beyond repair, the use of a hearing aid is employed. Hearing aids are attached to the back of the ear, or sometimes implanted inside the skull to directly stimulate the cochlea via local bone conduction. The human body has cleverly been designed as the perfect transmitter of sound waves. The 80% water content – Water is stored in every cell and the brain is 85% water. Bone conduction – Once the sound wave has travelled through the vibrating water, it reaches our bones, which are excellent conductors of sound, and we then start to vibrate from the inside out. Nervous System– Soothing musical sound waves travel along our millions of nerves around the entire body. Meridian & Chakra system – The commonly known Meridian system, also worked with by acupuncturists, absorbs the energy of the sound waves. These sound waves then travel the millions of Meridian energy lines around the body – an energy super highway – delivering soothing, healing, harmonic tonal sound waves to all parts of your body. You are now experiencing the Power of Sound and Vibrational Waves.